New York Combat Sambo team members Thomas Doyle takes home expert division Bronze in the nogi division at NAGA Philadelphia! 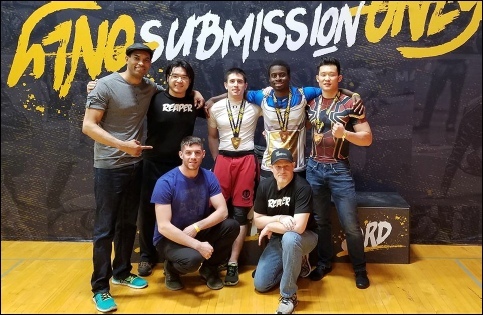 New York Combat Sambo team members Hassan “Hitman” Hope (3-0) and Victor Severin (1-1) take home Gold and Silver respectively at the Arnold Sports Festival Sambo Open in Columbus, Ohio. It was a great weekend for NYCS team members! 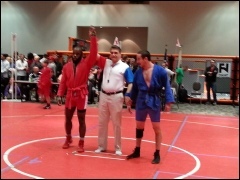 Hassan “Hitman” Hope took home a Silver medal from the U.S. Combat Wrestling Team Trials in Lowell, Arkansas. 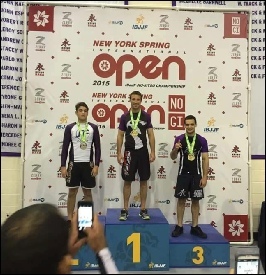 Tommy “Sambo Ronin” Doyle earned Bronze at the IBJJF NY Open in purple belt no-gi division. Tommy cross trains at NYC BJJ. 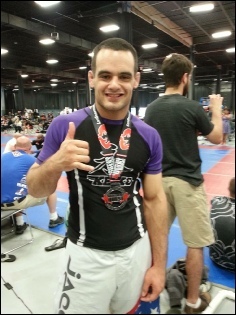 Carlos Del Valle took home Silver in purple belt no-gi and Bronze in gi (Masters) at the IBJJF NY Open. Carlos cross trains at Gracie Barra. 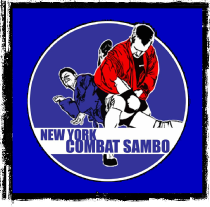 New York Combat Sambo has discontinued its MMA program. We have always been a sambo and grappling oriented club. Inasmuch, we have made the decision to stick to our roots and train our athletes solely for Sambo, Self-Defense and Sambo for grappling sports. 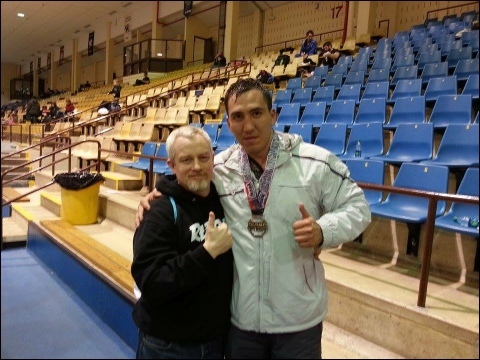 Our newest Team member Farrukh Niyazimbetov takes home Gold at NAGA worlds (blue belt men’s gi). We are very proud of Farrukh and his first U.S. Medal! NYCS makes a great showing at the 2015 Grappler’s Quest Nationals in Edison, New Jersey. 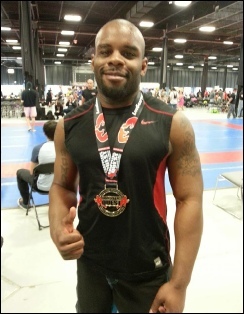 Hassan Hope follows up on his Arnold Classic Gold & Combat Wrestling Trials Silver with a Gold in the intermediate no-gi 179lb division. 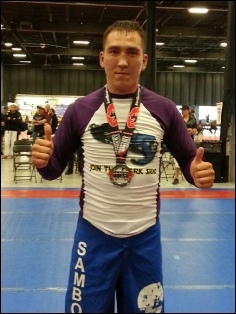 In his first no-gi tournament, Farrukh Niyazimbetov takes home silver in the intermediate 209lb no-gi division. 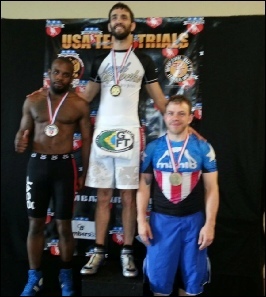 NYCS assistant coach Tommy Doyle brings home a silver in the advanced no-gi 199lb division. We are so proud of our crew! GO REAPERS! We are so proud of Kevin Wang who competed today for the first time in any combat sport and took home a nice new Gold medal! He committed to his throws 100% and nailed several of them. He went 2-0 with one victory by armbar and one on points. Victor Severin took home silver (his 3rd in three tournaments) after three hard fought matches. He nailed several throws and his first ever submission win by armbar. Victor went 2-1, losing in the finals to a stud player and prior world medalist. We are very happy for both guys! 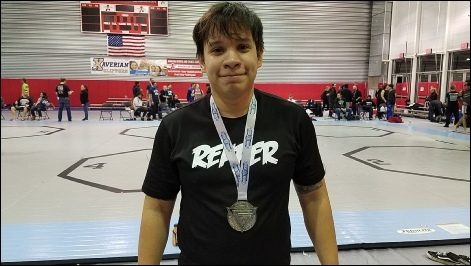 We are super proud of Victor Severin who increased his medal collection and took home silver from the Virginia Freestyle Sambo Open! 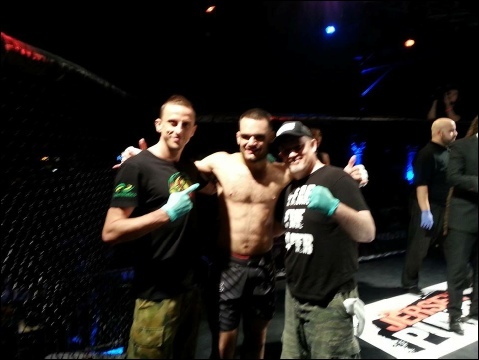 NYCS assistant coach Thomas Doyle increases his MMA record to 2-0 after a dominant unanimous decision at NYFE 8. Go Tommy! 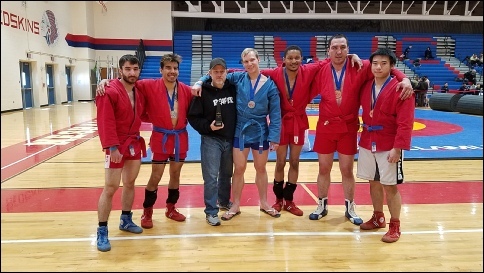 NYCS reaper Farrukh Niyazimbetov (far left) takes home silver and gold at the USA Sambo US Open and National Sambo Championships! Huge thanks to Film Combat Syndicate for giving NYCS’s Breakfall Studios’ recent practice fight scene some publicity on their weekly hit list! 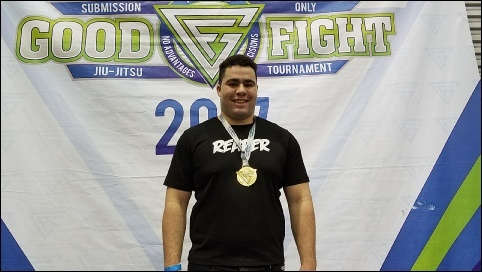 NYCS’s Rafael Miranda takes Blue Belt Gold at the Good Fight Winter Open in only his second competitive outing! Congrats Rafael! 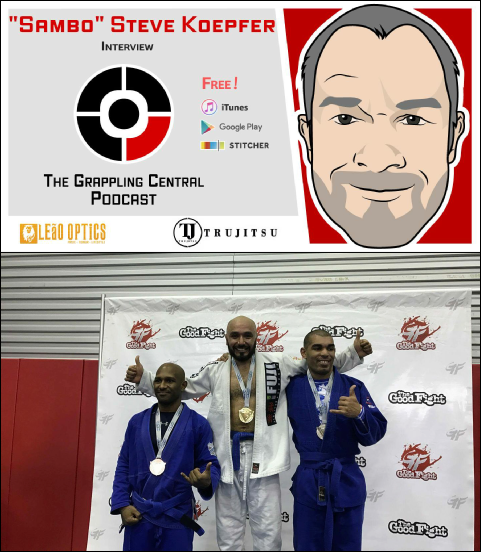 NYCS’s Head Coach sits in on the Grappling Central Podcast! 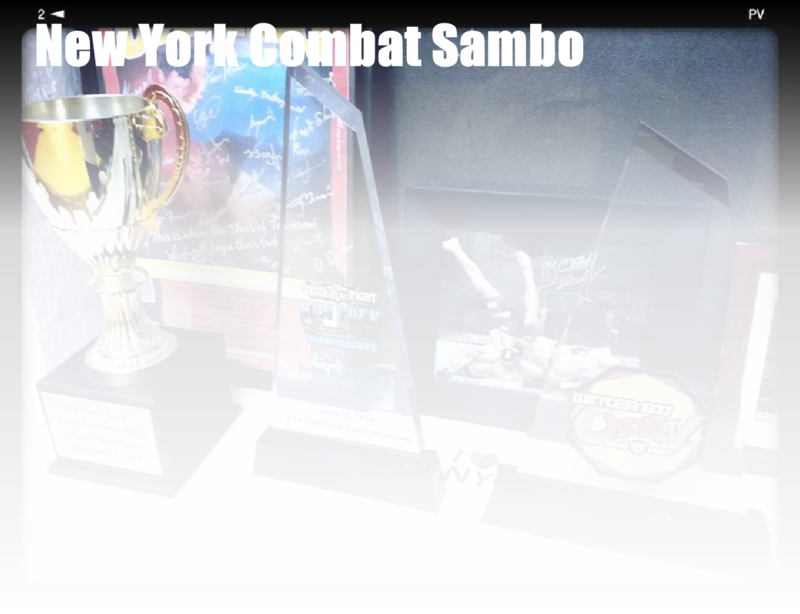 NYCS’s Reapers take home two gold medals and one silver medal from the 2017 Arnold Classic Sambo Championship! Victor Severin - Gold; Farrukh Niyazimbetov - Gold; Hector Santana - Silver. 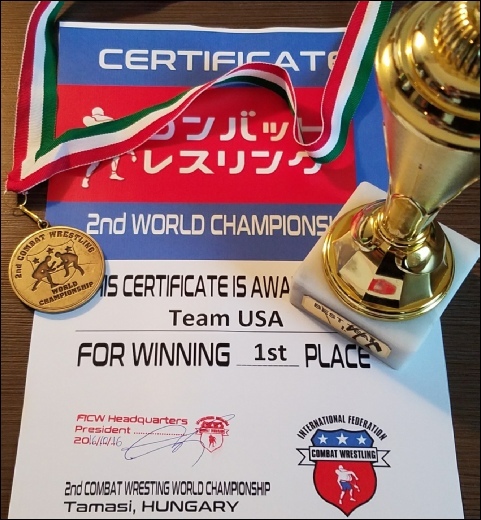 NYCS head coach Stephen Koepfer coaches Team USA Combat Wrestling to its first world championship team title in Tamasi, Hungary! 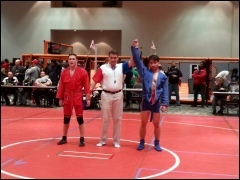 NYCS’s Hector Santana and Victor Severin compete at the USA Sambo, Inc Nationals. Victor did not place, but came away with a respectable victory in his first round. Hector took home a bronze medal! 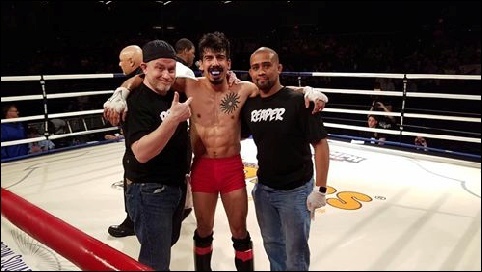 NYCS’s Hector Santana wins his MMA debut by defeating Steve Lee of LAW MMA via unanimous decision at Triumph Combat, held at the world’s greatest arena, Madison Square Garden! 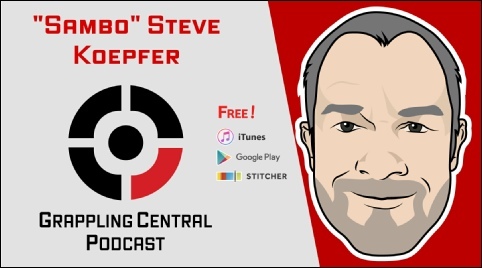 Stephen Koepfer returns for a second visit to the Grappling Central Podcast! 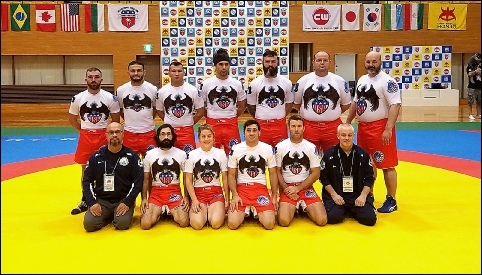 NYCS’s head coach served as head coach for the USA Combat Wrestling World Team in Honjo Japan. Team USA took home more gold medals than any other national team (6) and placed second overall as a team. 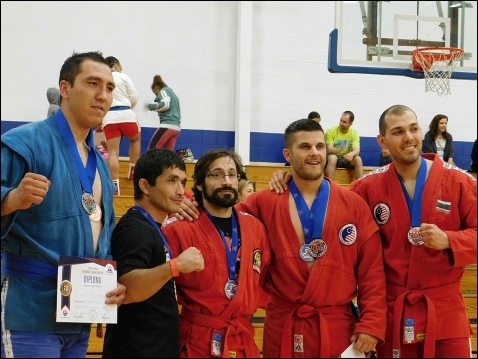 Alex Jackson and Diego Oliveros brought home Gold (purple/nogi/+205) and silver (white/nogi/170) respectively! Great job to both guys!! 2018 Arnold Classic Sambo Championship, Columbus Ohio. NYCS’ Reapers killed it! 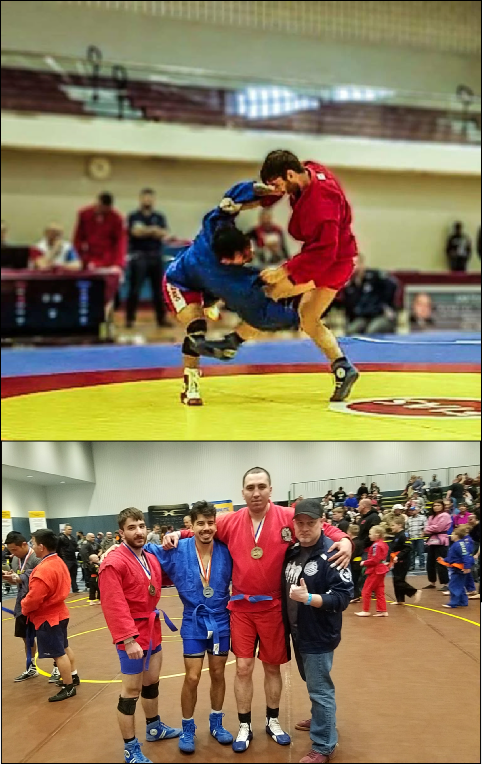 Hector Santana and Edwin Adams brought home their first Sambo gold medals against tough opponents that included a BJJ Black Belt, A Division 1 All American Wrestler from Michigan and an Iowa Buckeye wrestler! Victor Severin defended his 2017 gold and brought home his second straight Arnold Championship. Alex Jackson took home a silver, after losing against a tough, seasoned Master of Sport opponent in the finals. To top it off, NYCS took home the team championship. Not bad for a day’s work! 2018 RISE Sambo Championships. 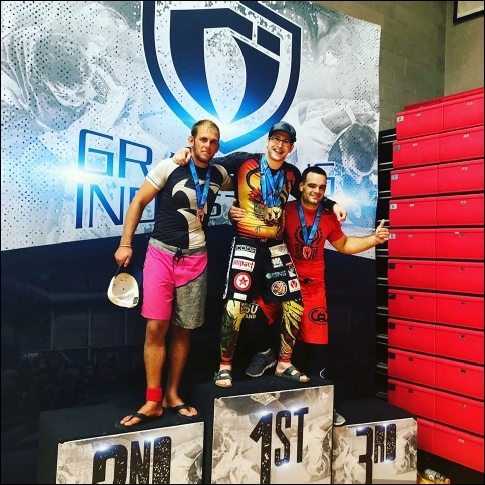 Just a week after the Arnolds, the Reapers hit up the RISE Championships - an international open tournament that drew killers (including world level players and Olympians!) from several countries including Canada, Uzbekistan, Egypt, Moldova, Russia and more. Against very tough competition our team stepped up and performed incredibly well. 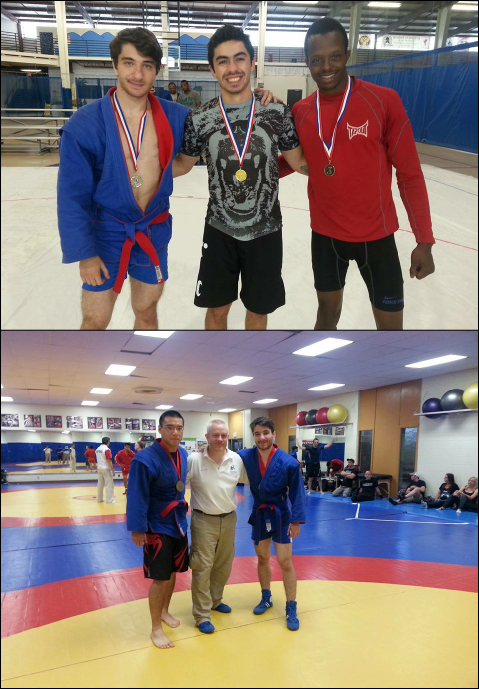 Hector Santana and Andre Kourouchin each took home silver, Kevin Wang, Edwin Adams and Farrukh Niyazimetov all took home bronze. Victor Severin took home no medal this time around, but showed what he is made of going up against a world level sambo player and Olympic greco-roman wrestler! In addition, coach Koepfer was given an award of recognition for his coaching achievements and career contributions to the Sambo community. 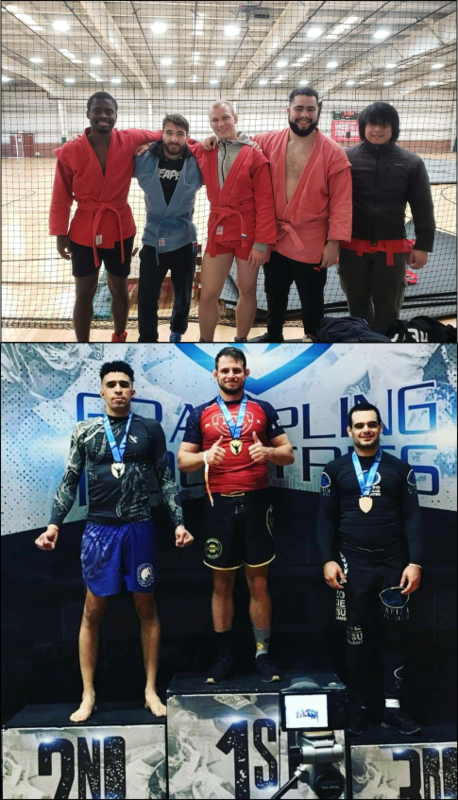 Super proud of our guys who competed at Grappling Industries; some of whom never competed before, or was their first BJJ tournament. And huge thanks to Victor Severin who stepped up to coach for the first time (and learned how stressful it is)! Thomas Doyle finished with Bronze and 3-2 for the day (expert no gi), Edwin Adams went 2-2 (intermediate no gi), Andrei Kourouchin went 2-2 (white belt gi), Diego Oliveros went 2-2 (white belt gi), Andy Li went 2-2 (advanced no gi), Gustavo Arismondi went 3-1 (beginner no gi), and Tim Fong did not bring home any victories (beginner no gi), but stepped up and competed for the first time and nailed a sweet double leg in the process! The reapers earned several finishes along the way. Congrats to all! You guys rock and rep us with honor! 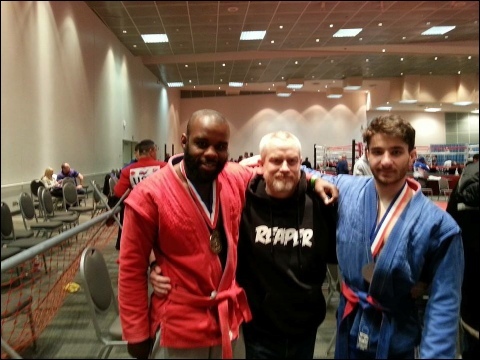 Reapers Victor Severin and Andrei Kourouchin represented NYCS at the USA Sambo National Championship. 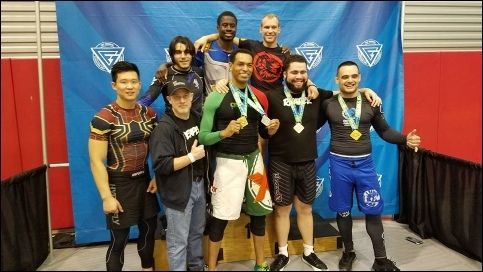 Victor, who did not place in 2017 took home silver medal this time around; defeating one of his rivals from last year in the process and securing an invitation to compete on Team USA at the FIAS Pan American Championships. Andrei, who has only bee training 10 months earned no victories however, he faced both a Pan American AND world champion in his division and handled himself well. He will be crushing folks in the future! How cool to have NYCS standout Reilly Bodycomb in their corner. Fantastic job by the Reapers today! Alex Jackson brongs home Silver at his first time out in Brown/Black division. Thomas Doyle takes home Gold in Brown/Black division. Jabari Gray brings home a Gold and Silver in two Purple divisions. Andrei Kourouchin takes home Bronze in White division. 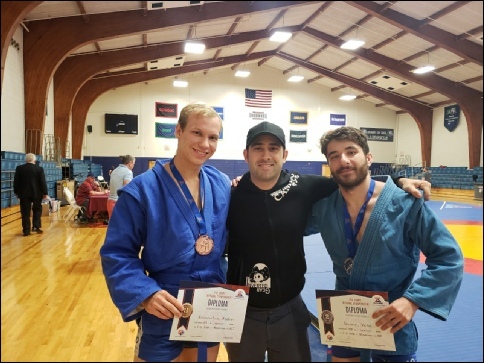 Andy Li (blue), James Hurley (first time competing and jumped up to blue) and Spartacus Danger Los (blue) did not take home any bling, but left it all on the mat and repped us well! 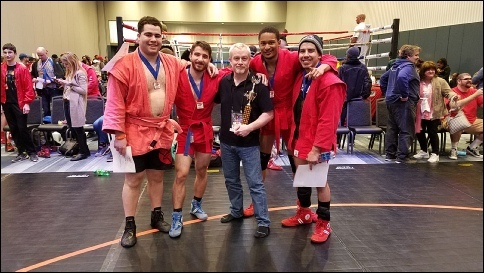 Huge congrats to Victor Severin, Andrei Kourouchin, Alex Jackson, Kevin Wong and James Hurley who took home 4 golds and 1 bronze at the innaugural AMMO Sports Expo Sambo Tournament. These guys put in the work and it shows. Great job by the Reapers at Grappling Industries Submission Only today. Everyone fought their hearts out - win or lose! Andy Li and James Hurley take home intermediate Bronze. Hurley nailed a text book belly down armbar as well as a sweet singe leg. Andy nailed a sweet "Neil Knot" and lateral drop. Eric Schwartz brings home intermediate Gold with a sweet kneebar and RNC to earn the top spot.